1. You were super jealous of the guy who defeated Jazan’s dad. 4.	and Meepits vs. Feepits. 5. You remember when there were 4 categories in the Games Room, instead of 25. 6. You can draw a map of Neopia blindfolded, but might have trouble finding Earth on a map of Earth. 7. You not only remember Maraqua for the many years that it was a ruinous whirlpool, but you can remember when it was an actual city. 8. You hear “I AM DOCTOR SLOTH” and duck, instead of waiting for a Transmogrification Potion. 10. Jeran was one of your childhood heroes, and you might have spent whole days looking for that magic portal to take you to Meridell. 12. You were devastated when your precious Petpets disappeared for almost two weeks! 13. When your Neopet mentions “Malkus Vile” at Coltzan’s Shrine, you shake your fist and remember trying to figure that plot out. Stupid parrot. 14. You have multiple stacks of Neopets: The Official Magazine somewhere under your bed... or possibly right next to you. 15. You know where Terror Mountain gets its name. 16. You were there when the Archives section of the Neopian Times was the hottest edition. 18. You spent hours playing Neoquest... and still don’t know how to get through that rotten door. 19. You hear dial-up’s “Duh-nuh-NUH! Du...uuu...uuu...” and think of Neopets. 20. You have hundreds of Neopets TCG cards right next to your magazines. 22. You’re still waiting for the promised Neoschool. 23. You see a pair of Lucky Green Boots and laugh. 24. You spent hours trying to beat ??? in Tug o War, and many more hours wondering who he was. 25. You have spent hundreds of thousands of Neopoints on the Terror Mountain scratch cards. 27. Your Safety Deposit Box is full of Advent Calendar items that you know will be worth something one day! 28. You scoured Neopia looking for the Hidden Tower. 29. You spent hours playing Kacheek Seek, because you weren’t very good at the other ten games available to play. 30. You were there for the actual 50th edition of the Neopian Times. 31. What happened to just having ONE training camp? 32. And what happened to just having ONE currency? 33. Remember when a circle was the only background you could have? 35. You were there for the “stone age” section of the Neopian Times. 36. You MAILED in your permission form to use Neomail. 37. You remember the Comics phase of the plots. 40.	and bamboozled by who ate what at Coltzan’s last dinner. 41. You were as surprised as everybody at the plot of Neoquest II. 42. You were there when Neopets had practically zero ads. 43. You had at least one Neopets shirt, and maybe fifty. 44. You played the games in the Game Graveyard before they were dead. 45. You were there not only for Destruct O Match II, but also Destruct O Match I. 47. You cried when the Pant Devil “stole” all your items on April 1... and then they “returned” like magic! 48. You were there when the Stone Paint Brush wasn’t retired. 49. Used to be only PETS could be painted. 52. You pretended to be a Neopet in real life. 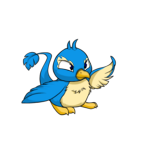 And when your mother would ask why you could talk if you were an animal, you would have to explain to her the difference between an animal and a Neopet. 54. The best graphics WE ever got was that awesome Flash video at the Battledome. 55. What happened to Neodeck cards being the only things to collect? 57. Everybody in your class would talk about how many Neopoints they won from the Wheel of Excitement. 58. You remember when Neopets was just for the computer. 60. You had a debate on the playground over whether NeoPetz announced on April 1 was going to be cool or really dumb (I was a part of the “fun” side). 61. You probably fell prey to a couple Trading Post chain mails, huh? 62. The Shop Wizard was the BEST INVENTION EVER! 64. You ventured into the Lair of the Beast... And when you didn’t get it, you tried it a couple more times to see if you could figure it out. 65. You are very familiar with who Donna and Adam are, and probably attempted to Neomail them a bajillion times. 66. You waited and waited and waited to get into Kelp. 67. You were there when the giant earthquake ripped the Ice Caves in two to reveal... Tyrannia! These aren’t all the ways to know you’re a loyal user, but they’re the first ones that came to my head. As you can see, the loyal users of Neopia have done a LOT for the sake of this world, and they deserve to have some excellent loyalty perks (*cough* Draik eggs *cough*). But even if you’re not a loyal user, stick around. There are and always will be lots of reasons to be a user on Neopets. So, it's July again- the month of hot sun, long nights and... swimming in Neopia? Yes, July is the Month of Swimming, so you need to start getting ready!